To ask minor questions or seek additional information. To notify you of an adjustment on your return. To confirm an address change. To set an appointment for an audit. Receiving mail with a return address for the Internal Revenue Service is enough to scare anyone, but it’s often nothing to worry about. Even if the letter states you are being audited or you owe more in taxes, don’t panic. On letters, the top right-hand corner will indicate which year’s tax return the letter is addressing. Many requests are simple and can be handled easily on your own. Always make a copy of the correspondence and anything you send for your records and the records of your tax professional. Inform your tax preparer of anything that happens to your return. If the letter is confusing or the idea of reading it causes you to panic, then make an appointment to see your tax professional. Always respond to any requests. The purpose of this letter is to inform you that the IRS doesn’t want you to file if you don’t have to. This letter is harmless; there are no penalties for continuing to file, even if it’s unnecessary. If circumstances change, you may have to file, so it’s still important to check the filing requirements each year. Cross check the figures shown on the W-2’s and 1099’s received that year with the return and the IRS letter. 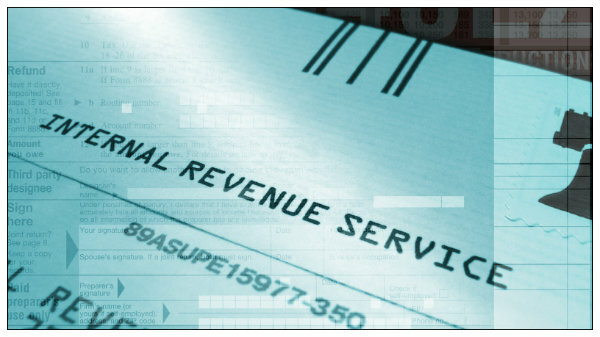 Pay special attention to the income item(s) that the IRS says have not been reported. It may have been reported under another name, or in a different section of the return. If you did receive the amount of income shown and it was not reported on your return, you may indeed owe the amount the IRS is requesting. If you did not receive the amount of income shown or it was reported on your return, you need to send a letter of explanation back to the IRS. Your tax professional may be the best person to handle these letter-writing tasks. He or she may be able to resolve the issue quickly and avoid lengthy correspondence with the IRS. Total your receipts for the expenses in question. Attach the calculator tape to the receipts. Label it with the type of expense. Obtain documents to substantiate other requests (i.e., church offerings, leases, loans obtained or paid back, bank statements, contracts, etc.). You may want to visit your tax professional for help in preparing or reviewing your records and understanding the audit process before the actual audit. Regardless of the type of letter you receive, you may want to consult a tax professional if you have questions. If our firm prepares your tax returns, we are happy to assist you with routine correspondence or tax notices free of charge. Our clients value this service and the peace of mind it provides. If you are audited, we will be happy to give you advice on handling it yourself, or we will represent you in the audit. For more information about preparing for and getting through an audit, click here.